The BFFiHK, aka Eugene Kan, got me a gift as a way to say thank you for sending him packages of random stuff he buys online. Lol If you remember, he sent me a gift before which gave me the opportunity to create my own nutrition bars. Which btw were delicious with the ingredients I put in (chocolate chips being one of them). This time he ordered me something and asked if I could pick it up from Photoworks SF. Eugene takes a ton of photos (awesome ones btw) and so he decided to get me a printed copy of one of his photos. First off, I like the way Photoworks SF packaged it. It reminds me of using paper bags as book covers. 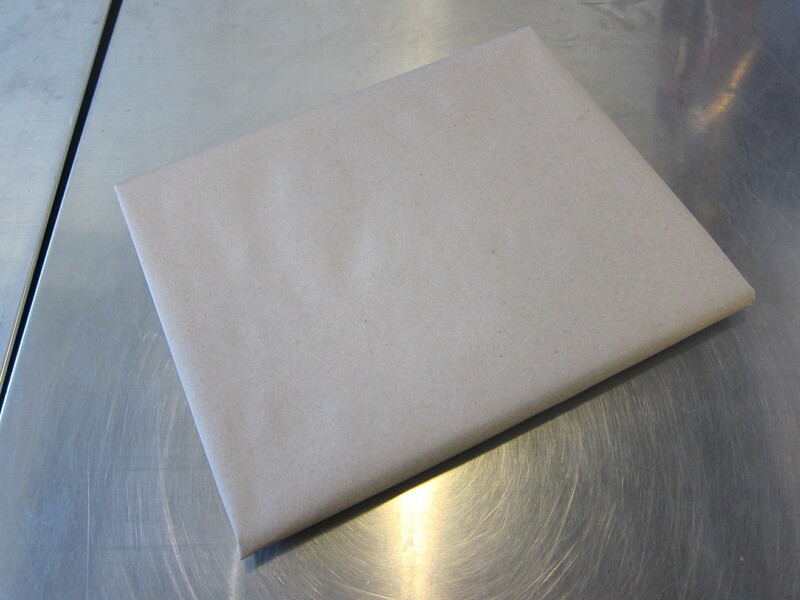 Haha But seriously, I like when gifts are wrapped like this. I’ve never been to Hong Kong…or Asia. Basically I’ve never been out of North America. The closest I’ve gotten to Asia is going to Chinatown in San Francisco…and maybe parts in Vancouver. 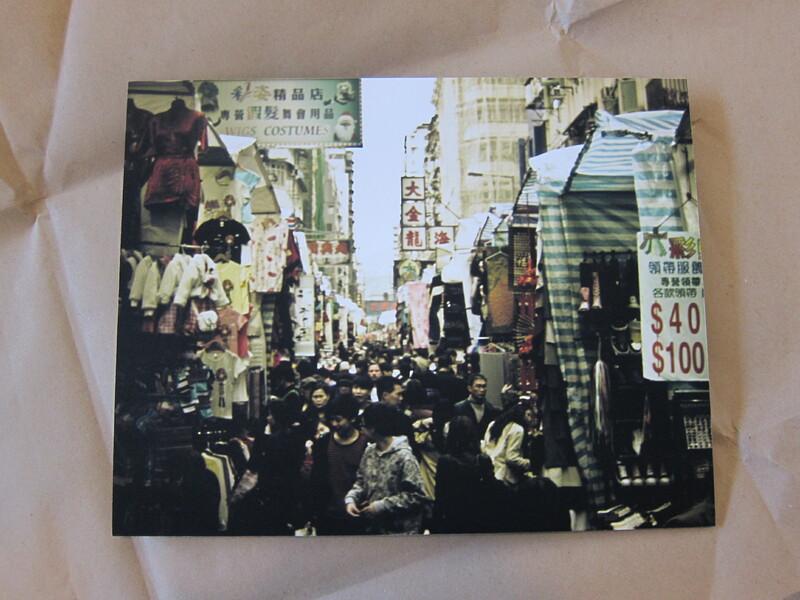 Haha Eugene captured an image of an area called Mong Kok in Hong Kong which in his words is “a big tourist trap”. Lol But I absolutely love this photo. There’s something about being on a street full of people going into little shops and markets and seeing tons of signs and products all in one small area. The hustle and bustle of a market place. It’s also the fact that it takes me out of my own element. Especially since I’ve never been there. Makes me wonder how life would be if I lived in another country. The photo is printed on a 11×14 photo rag which is digital printing paper that’s 100% cotton. 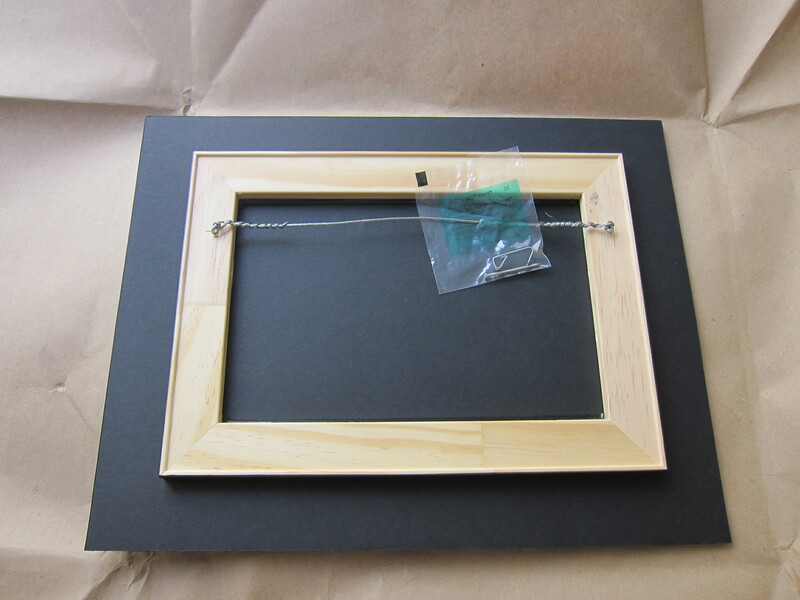 The photo has a foamcore and has a frame on the back so I can hang it. After over two years of living in my apartment, I’m happy this is the first piece of artwork I’ll have hanging on my wall. One of the best gifts ever. If you want to see more photos that Eugene took, make sure to check out his blog HERE.